Guys, we know how hard it can be finding jewelry for your girlfriend. It can a minefield of potentially expensive errors and mistakes that she will pretend to like, and then never wear. The look on your girlfriend’s face when she gets a necklace from you that she genuinely likes is obvious, and priceless. If you don’t know what we are talking about here, the chances are that you have been buying the wrong necklaces your entire life. But don’t worry, being the awesome guys we are, we have got your back buddy. 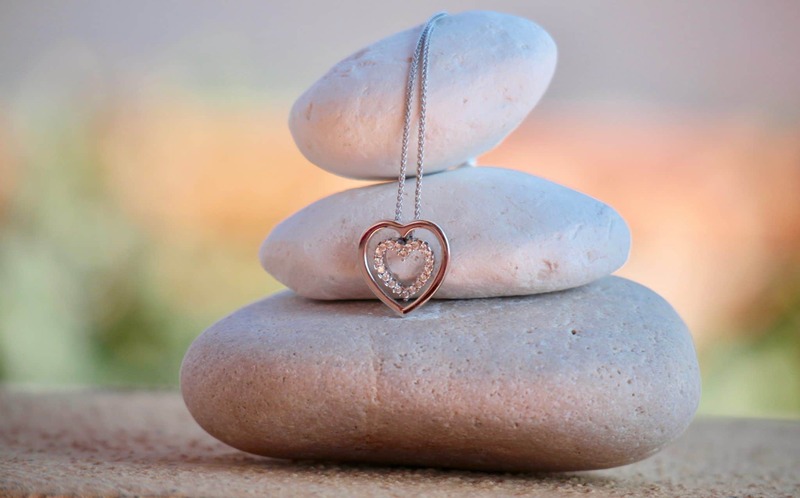 Today we are going to share our top 10 list of necklaces for girlfriends that they are sure to love. There is something for every girlfriend in this list and we have set a max price of $300 for this article, so it’s not going to break the bank either. We are starting off our list with a necklace that is jaw-droppingly beautiful. It’s one of the cheapest necklaces on our list, but don’t let that fool you. This is a product that exudes quality (and expensiveness) at every single opportunity. If you are looking for a necklace that makes it look like you spent lots (while keeping things affordable) this is the one for you. The centerpiece of this necklace is a stunning deep (yet bright) blue topaz gemstone. This stunning stone will glitter and shine various shades of blue at every turn. It looks great in the pictures, but they really don’t do it justice – it’s even better in real life. The stunning topaz gemstone is set among a swirling masterpiece of 925 sterling silver bands. 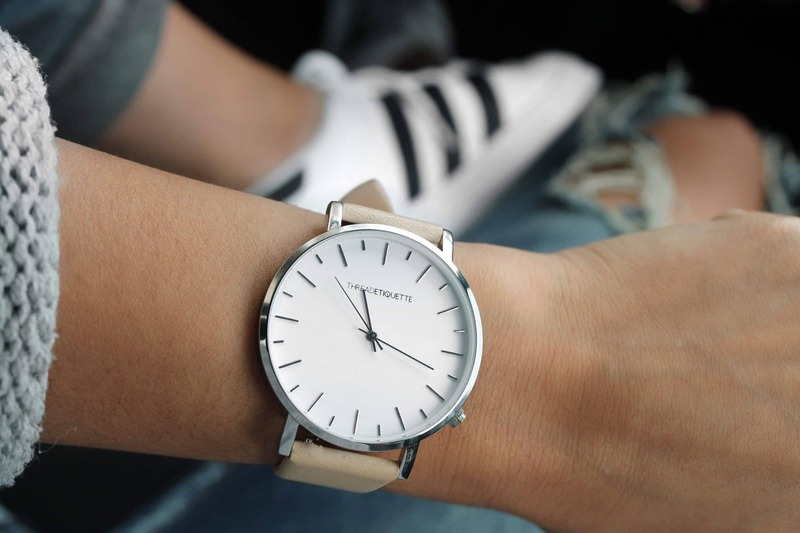 The sweeping elegant lines slightly resemble an infinity loop and create a modern, yet classic look that will be perfect for any occasion – casual or formal. The sterling silver bands are encrusted with several high quality and super reflective cubic zirconia gemstones. Cubic zirconia is not the most fashionable stone in the world, but it adds a little bit of sparkle and shine to an already sparkly and shiny necklace. The whole pendant is attached to a strong, sturdy, and high quality 16” 925 sterling silver chain with a reliable clasp. The chain is a little different to most necklace chains and is made of box like squares (instead of traditional chain loops). This adds a designer feel to the necklace and completes the illusion of it being expensive. With this necklace, you are going to get lots of boyfriend points (without spending lots of money). Like most men reading this, you probably have no idea that black pearls are a real thing. To you, they probably sound like something out of Pirates of the Caribbean. Well, we are here to tell you that black pearls are real, they are gorgeous, and your girlfriend will love them. We searched high and low to find this product, it’s a stunning piece that your girlfriend will want to wear (and show off) at every possible occasion. Obviously, the black pearl the is the centerpiece of this product. It’s a high quality cultured black pearl that has come all the way from Tahiti (be sure to tell her it’s from Tahiti, she will love it). There are no other natural products we can think of that have the unique beauty of a black pearl. It’s a stunning combination of deep dark greens that have a pearlescent tinge to them brightening up to a medium metallic green when the light hits it in the right place. It’s slightly glossy, but also slightly matte too. It’s a very beautiful and unusual combination that will get her lots of compliments (and get you lots of boyfriend points). The pearl itself is set on an elegant swirling, modern sterling silver pendant that is a stunning piece of craftsmanship. We love the way that it has not been polished to a mirror shine like most necklaces (it is very slightly cloudy). This is the perfect complement to the unique appearance of the black pearl (if it was super shiny, the pearl would look slightly dull in comparison). The whole piece is set on a reasonably standard sterling silver chain that will delicately yet securely attach the entire piece to her neck. If you want something that is going to seem exotic (and get your girlfriend lots of compliments), then this is a piece you should consider. No self-respecting list that provides necklace suggestions for your girlfriend would be complete without at least one (or two) heart shaped suggestions. This stunning piece is an unusual, and beautiful take on the heart shaped necklace that will show the lucky lady just how much you care. Pro tip: This necklace is called “You are the only one in my heart”, be sure to tell her this when you give it to her for extra boyfriend points. The pendant of this necklace is formed from what looks like a single band of 925 sterling silver. To give the necklace an extra special sense of opulence the silver has been clad in a precious metal called rhodium (which is a member of the titanium family). This gives the pendant an unusual but beautiful glossy shine (it’s not quite a mirror shine) and allows the gemstones to be the star of the show. It has been warped and twisted into a heart shape with various overlapping gradients and curves to make a truly elegant piece. The band is partly covered on one side with large and shiny cubic zirconia gemstones that are tightly packed together. The dense nature of the way these stones are set gives an almost floral feel to the necklace and is very “pretty” (for want of a better word). The single large gemstone in the middle is the centerpiece of this pendant and is a large high-quality cubic zirconia. It gives the entire piece a focal point that completes the pendant and creates a well-rounded, high quality, beautiful necklace. Calm down guys, don’t freak out. Just because this is a diamond necklace doesn’t mean you are going to have to start eating ramen noodles every meal this month. This stunning diamond necklace costs less than $100 but will buy you an infinite amount of boyfriend points. She will be on Facebook posting pictures of this piece (bragging to her friends about how her boyfriend got her a diamond necklace) within a few minutes of receiving this gift. The pendant of this necklace is made from highly polished 925 sterling silver which normally would be a talking point, but this is a diamond necklace – so let’s move on to the good stuff. The heart shaped pendant is encrusted with multiple genuine 0.13 karat diamonds along the perimeter, with 3 larger diamonds in the middle. 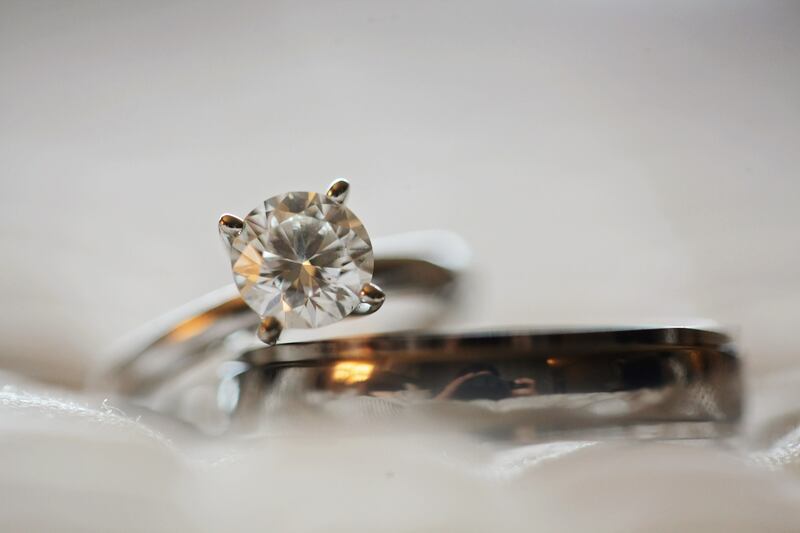 These stunning stones reflect the light and sparkle like only a diamond can. All diamonds used in these necklaces comply with the Kimberly process and are certified to be conflict-free. The combination of the heart shaped pendant and these stunning diamonds are sure to bring a smile to your girlfriends face. The pendant is attached to a sterling silver chain, which if we are being honest is a little bit thin and flimsy. The quality of the pendant is very high, but the chain lets the piece down a bit and makes it look a little bit “cheap”. We highly recommend you spend another $20 or so and get a separate high-quality sterling silver chain and replace the one this necklace comes with. It makes a $99 product look like a $500 product. Trust us, it’s really worth it. It’s hard to think of anything that is more elegant than a pearl necklace. It is almost the definition of classical beauty, and it has remained a must-have for any fashion conscious lady for centuries. This stunning necklace is comprised entirely of natural, freshwater cultured pearls that are of an exceptional quality. It’s hard to believe that they are real when you consider the price of this product (but they are real). 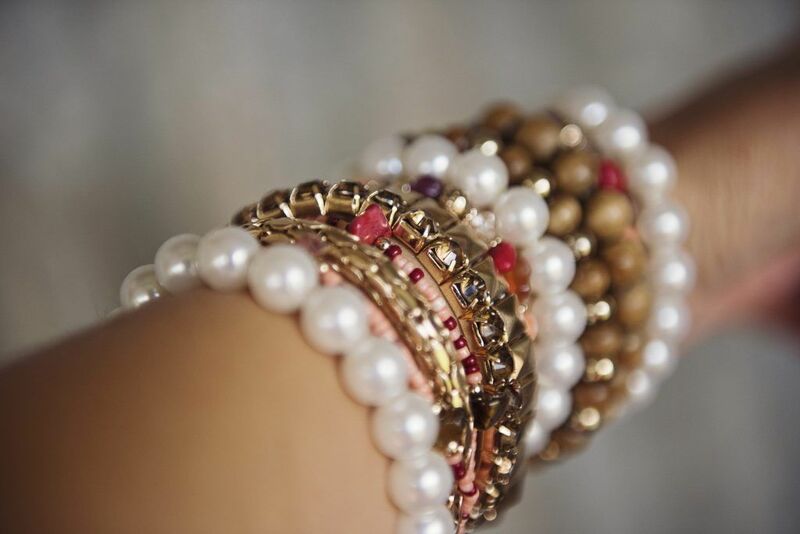 Each pearl is handpicked from a large selection and represents the very best in terms of luster and shine. The necklace itself is set on a real gold chain that contains a secure and strong lobster clasp. We love the way they used gold for a chain that you can barely see (and your girlfriend will love it too). The necklace itself is shipped in a stunning, high-quality box that looks beautiful when unwrapped. This is another one of those products that will make you look like you have spent hundreds of dollars more than you actually have. Also, if your girlfriend is a little bit fussy about what she wears (and you have never seen her wear a pearl necklace) then this should be high on your shortlist. No matter what her style is, she will always be able to find a way to wear a pearl necklace. This is probably the most eye catching and attention grabbing necklace on our entire list. It’s going to make your girlfriend sparkle and shine in the wind, rain, or shine. Due to its luxurious nature, it’s usually going to be better for her formal occasions, but it can occasionally find use in casual situations too. The entire length of this necklace is set with stunning Swarovski cubic zirconia gemstones. They are largest around the base of the necklace and slowly but surely reduce in size as they reach the clasp. This is done symmetrically on both sides creating a mirror image effect and is beautifully understated (while being attention grabbing at the same time). The settings for each of these stunning little gemstones are made from platinum plated sterling silver and are some of the whitest settings we have ever seen. This gives a very light feel to the necklace and really allows the gemstones to be the star of the show. The chain is also made from platinum plated 925 sterling silver and is attached to a strong clasp that will ensure the necklace stays where it should be. The gift box that the product comes in is of an unusually high quality and will make the smile on her face that little bit bigger when she opens her gift. Personalized gifts are often the most appreciated (by anyone), and we are sure your girlfriend will love this personalized gold necklace. It’s going to look like you went to great effort to get this gift for her, but in reality – it’s going to take you a few seconds. You can choose up to 10 characters (without spaces) for the pendant of the necklace, which should be more than enough for most names. The lettering is then custom made for your girlfriend using a stunning calligraphic font that elegantly displays her name. The text is made from 14k solid gold and the Panzer gold chain is available in a variety of different lengths. We love this product, however, we do advise a slight amount of caution with it. Not every girl in the world will want to wear a necklace with her name on it. Most will love it, but some won’t. Before you commit to this necklace have a little think if it seems like something she would wear. This uncertainty does make this necklace a little bit more risky than the other products on this page, but if you get it right she will love it. This stunning piece is part of the Amazon collection. Amazon might not have the same luxurious feel to their brand as some of the more well-known jewelers, but they make darn fine necklaces. The centerpiece of this necklace is the stunning Caribbean quartz pendant. Its stunning combination of blues and greens is truly a marvel to behold. There are two main stones in this piece, the larger square stone is the centerpiece, which is offset by a smaller elegant oval stone at the top. The stones themselves are of an exceptionally high quality and the glisten and shine in the light effortlessly. It’s almost impossible to look at this necklace and not think of the ocean, so if your girl loves the beach, or if you’re going on vacation together soon – this could be a great option. The stones are set in a solid 925 sterling silver pendant which has been designed to resemble ancient scrolls. This gives an illusion of age to the necklace and makes the entire piece incredibly interesting, we pretty much guarantee she is going to get compliments on it. If she loves it, there are matching earrings that can be purchased separately too (which makes your next gift decision super simple). This product does not come with a chain, which is a little annoying. But you can easily get a sterling silver chain for around $20 separately. It might seem like a lot of effort, but the look on her face will be well worth the extra few clicks to add it to your shopping cart. If your girlfriend is the religious type, then this could be the perfect combination of fashion and faith she has been waiting for. There are a countless number of cross pendants available on the market, but we honestly feel like we have found the most beautiful one of them all. The centerpiece of this stunning pendant necklace is the 925 sterling silver cross. Its elegant curved edges complement its mirror shine creating a modern twist on a timeless religious statement. The cross is embedded with a stunning (but small) diamond that will add a little sparkle into her life. The silver cross on this pendant is hugged by a stunning rose tinted silver heart that is a perfect complement. One side of the cross is highly polished silver and again contains a small, stunning diamond. The combination of the rose and silver colors is elegant and beautiful. It’s a piece that your girlfriend will be able to wear all day, every day (and it is neutral enough to go with any outfit). If your girlfriend wears a cross most days anyway, this could be a great thoughtful gift. If everything else on this list has seemed a little bit boring for your girlfriends tastes, then the last suggestion on our list could be just what you are looking for. It’s literally out of this world. This stunning pendant necklace features a genuine, real life meteorite fragment. It’s a piece of space rock that has been flying around since the creation of our solar and that has crashed into earth. It can now be worn around your girlfriends neck. Each piece is different because of the nature of the meteorite fragments that are available. But rest assured that this is a genuine meteorite, and they are all as interesting as each other. The meteorite itself is set in a thin white stainless steel wire that securely attaches the meteorite in place. Its bright, highly polished finish is a perfect contrast to the dark cold meteorite at its heart. This is a piece that you can be sure none of her friends will have, and she is sure to get many complements on it. Bonus Tip: Try giving her this necklace on a clear night while gazing at the sky together. Spot a shooting star and then give her this necklace while explaining to her what it is. If this doesn’t get you millions of boyfriend points, then you need a new girlfriend. Are you looking for wonderfull Necklaces for your Girlfriend? We got you!